Let Wild Vistas Trekking take you to little known and seldom visited places. Listed below are some of these secret gems. Backpacking in Capitol Reef National Park! Capitol Reef National Park, a little known and seldom visited gem, contains one of the best collections of fun and beautiful slot canyons anywhere. Join us for a truly memorable adventure. The trip is rated moderate and is based out of Grand Junction, Colorado. Utah’s Secret Canyon Country, the San Rafael Swell. 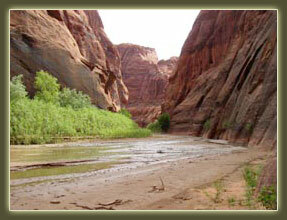 Known to few people…so far, the San Rafael Swell is a vast area of variety, color and breathtaking vistas. Join us for an exploration of this unique and little known canyon country. Escape the crowds and experience the majesty of the Zion landscape in this little known and seldom visited area. Just south of the park, Canaan Mountain includes all of the features for which Zion is famous with a solitude which no longer exists to the north. 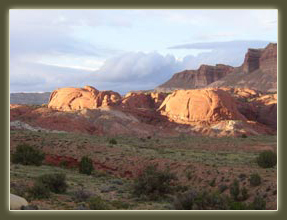 The trip is rated moderate and is based out of St. Geoege, Utah. 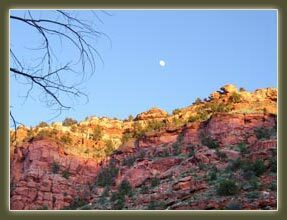 Wild Vistas Trekking specializes in personalized adventures for you, your family and friends. Choose from specially priced overnight, 2, 3 or 5 day trips. You pick the dates which work for you then let us craft the perfect wilderness experience. All trips include equipment (tents, backpacks, sleeping bags, comfortable air mattresses, etc. ), meals on the trail, snacks, and a safe, experienced guide knowledgable in the natural and cultural history of this spectacular place.